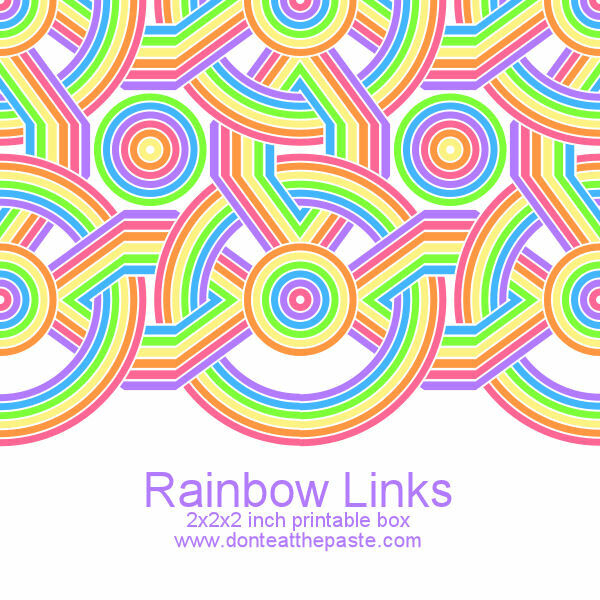 This printable box with a geometric rainbow design was a lot of fun to make, and may become a coloring page soon. I hope you enjoy it as much as I do. 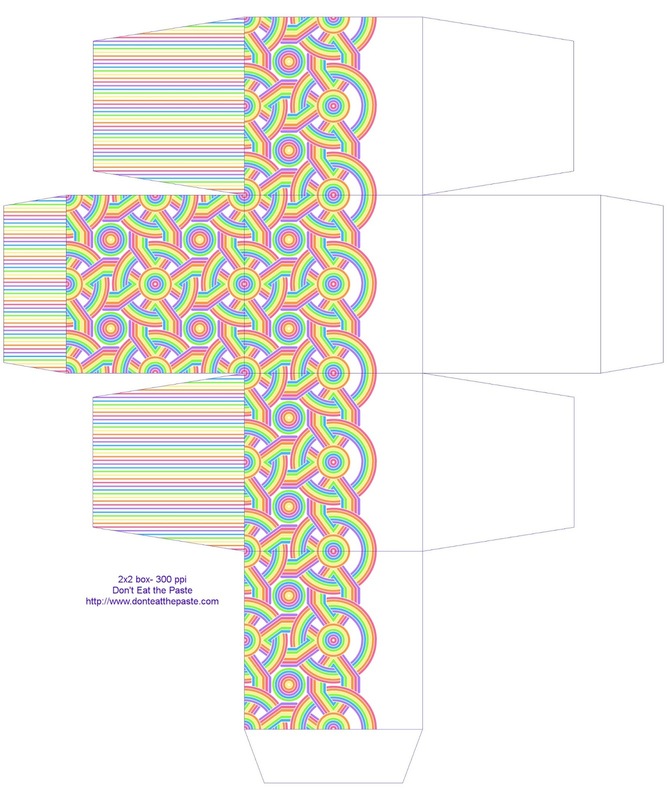 Click on the image below for a larger version to print and make. Print on card stock, cut out, score folds, fold and glue!